Due to the large number of requests for its products, EIFS Armour has decided franchising is the most effective way to support the company’s growth. EIFS Armour, a patented woodpecker-resistant wall system is now offering franchise opportunities in the construction industry across Canada. According to the company, there has been more than 300 successful projects completed in Western Canada over the past six and a half years and, as a result, the product is being requested for projects across the country. Due to the large number of requests, EIFS Armour has decided franchising is the most effective way to support the company’s growth. Franchising will allow interested construction companies or individuals to offer the patented product to clients in other cities across Canada. Franchise owners should have experience in the construction industry, and will receive training, support, and the benefits of advertising efforts. 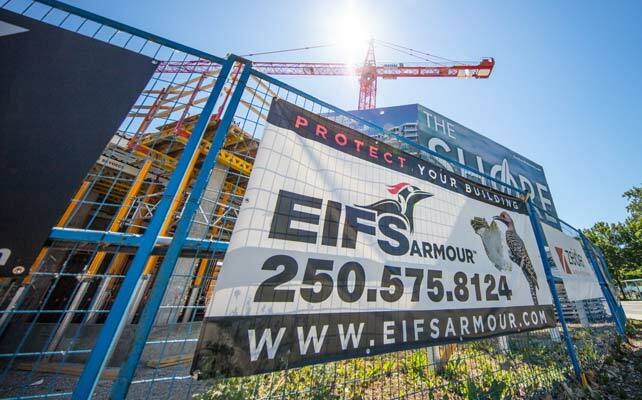 An EIFS Armour franchise has already existed in Calgary since 2015, and discussions for franchises in Edmonton, Toronto, Mississauga, Ont., and Ottawa are in the works. “EIFS Armour has helped my business prosper and has opened so many new opportunities and relationships in the EIFS industry—both for us and our clients in desperate need of a solution to the woodpecker problem in Canada,” said Keith Eisenkrien, CEO of EIFS Armour. EIFS Armour is a product-based company with headquarters in Kelowna, B.C., that installs woodpecker-proof wall systems.